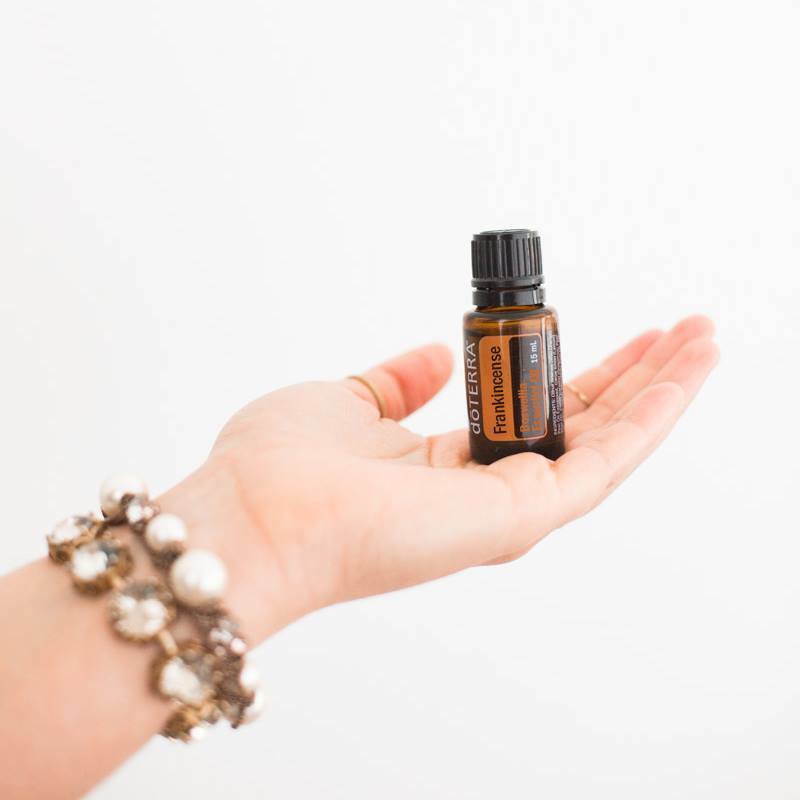 If we have personally chatted about dōTERRA essential oils before, then you know I have a saying… “When in doubt get your Frankincense out,” because it’s good for SO many things! 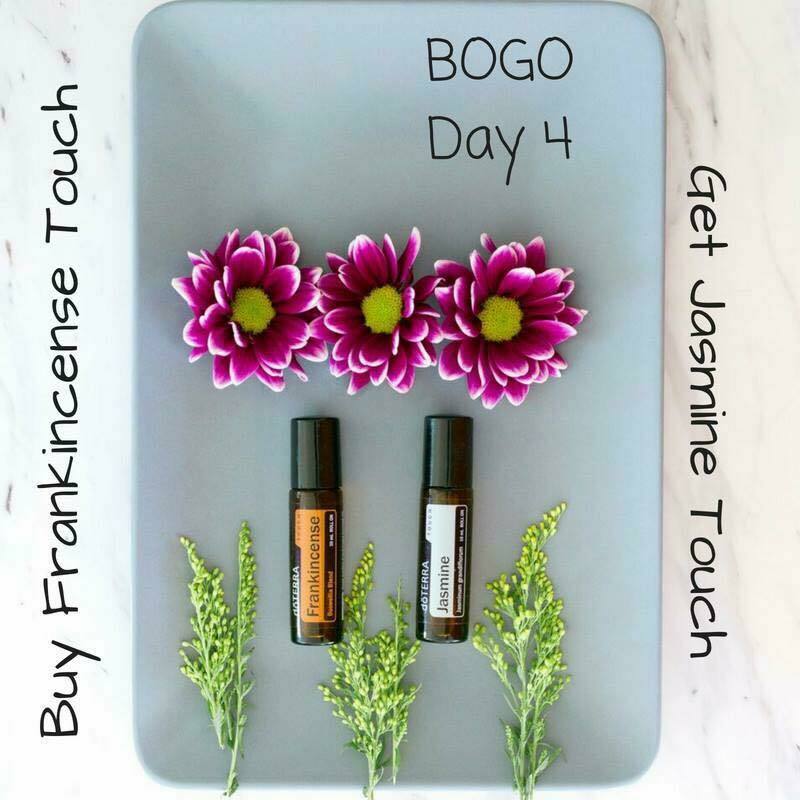 Well, now is your chance to stock up because dōTERRA’s BOGO is featuring two of their most precious oils. 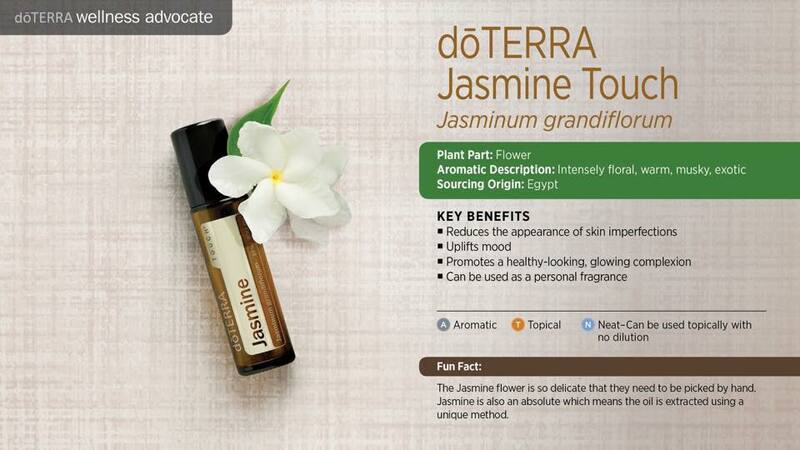 Today only if you purchase dōTERRA Frankincense Touch roller, you’ll get a Jasmine Touch roller absolutely FREE… and y’all, Jasmine is such a precious oil. Here are a few popular uses of these oils. Plus use both of these oils together to naturally reduce the appearance of fine lines and wrinkles. Excuse me, while I go stock up on these most treasured oils! Do you need help ordering these oils? Simply go to mydoterra.com/amandagerber and just add the items to your cart. You can order 4 BOGOs per account per day. For the BEST price click “Join & Save” to get wholesale pricing for a year. No selling or monthly orders required for this. 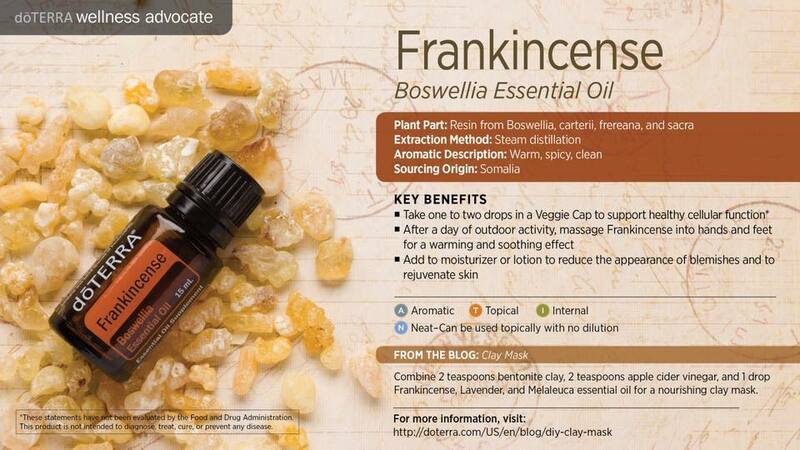 What’s your favorite way to use Frankincense? One of the issues that has come up in the past is thyroid support. There have been a handful of people that come my way that ask if essential oils can support their thyroid. The answer is yes. The answer is through consistent use of essential oils and a healthy lifestyle, your body will take care of itself. So I’ve done some research on this, and chatted with friends who use doTERRA for their thyroid and I have a blend I’d like to share with you today. What I do is fill up an empty rollerbottle about halfway or slightly less with the essential oils. Then top the rollerbottle with doTERRA Fractionated Coconut Oil. Give it a little shake to mix up all the essential oils. 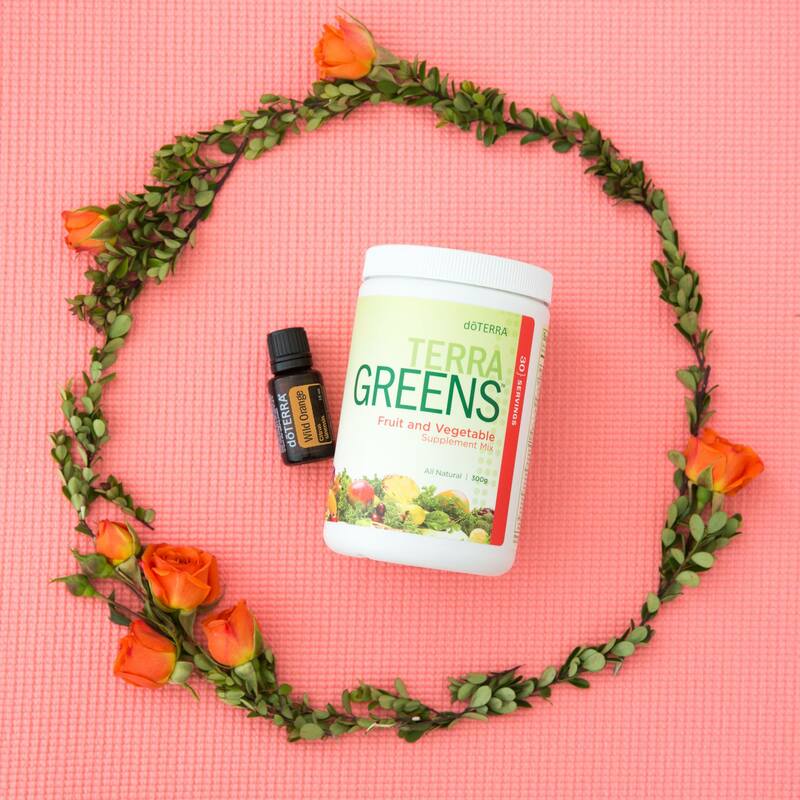 Use this blend topically over your thyroid 2-3 times a day. Consistency is key with essential oils. Don’t just use it for a week and stop. Do this consistently for a couple of months and then decide if it’s something you need to incorporate into your everyday routine. There are a few other suggestions I’d like to give, and I’ll discuss further about in later posts. Lifelong Vitality Pack: I recommend this for everyone. The Lifelong Vitality Pack is filled with whole food and all natural vitamins, minerals, and antioxidants to give your body a solid foundation. Frankincense & Copiaba: These two together are unstoppable. I’ve started incorporating taking these two essential oils internally, in a veggie capsule, every day. They are amazing at immune support, brain health, emotional support, and about a billion other things. Citrus oils in Water: doTERRA citrus oils, like Lemon or Grapefruit, will not only make your water taste good, but benefit your overall health. Also, tasty water will make you more likely to hydrate, so drink up! Be sure you’re drinking your water in glass or stainless steel when using doTERRA essential oils. Remember, you can get Frankincense for FREE this month, and Myrrh is 10% off as well. You can check it all out at mydoterra.com/amandagerber. Click “Join & Save” for the best value! Do you have a natural way of supporting your thyroid? I’d love to know. Sharing is caring, so be sure to share with any friends that need to give their thyroid a little extra love today. It’s the most wonderful time of the year… that’s right, time to gear up for Christmas! Even if it is still in the 80s here in south Texas. I wanna make your home feel like Christmas, even if it is warm, and keep your family healthy during the holidays. 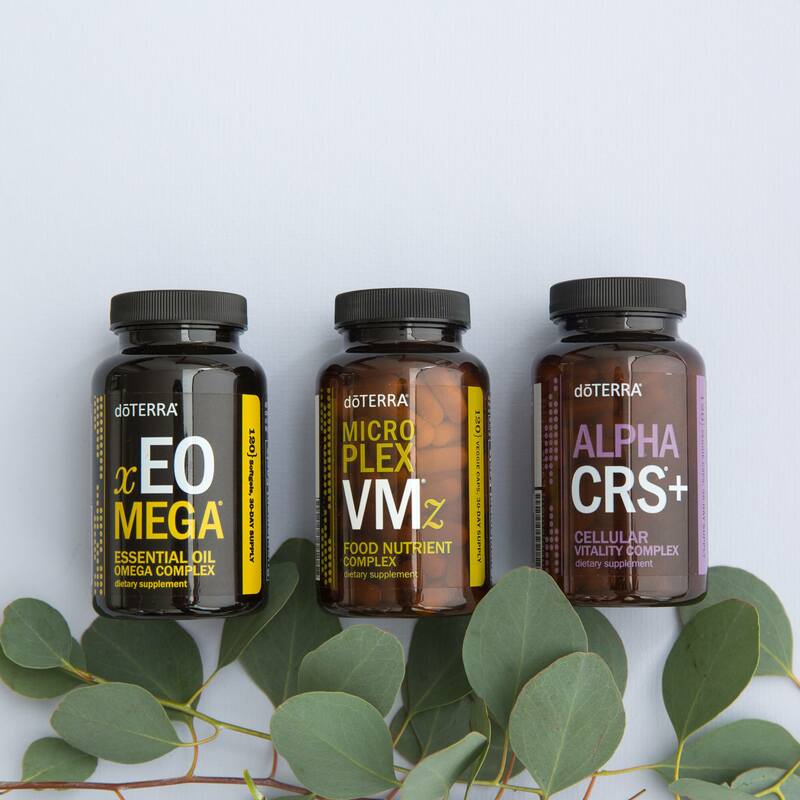 Today I want to share with you the December promos, so you can be sure to take full advantage of them and get stocked up on all your doTERRA favorites. doTERRA has been doing this timely promo for the past few years, and we all look forward to it every year. 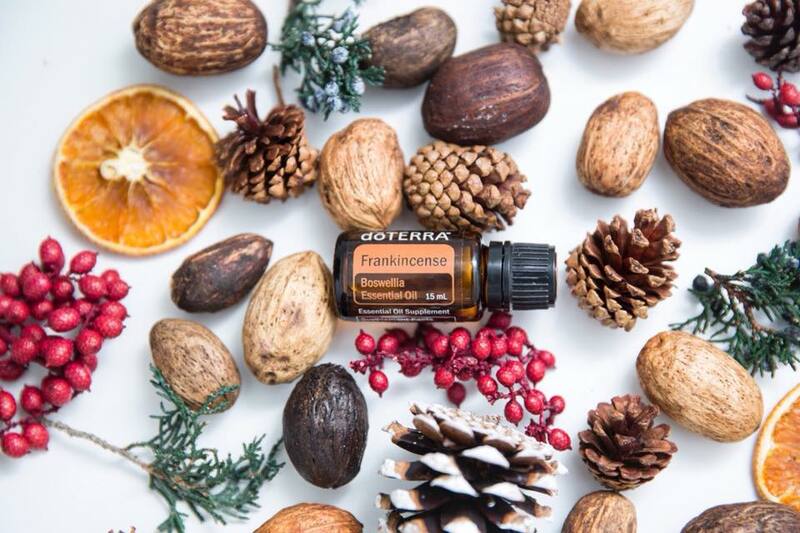 For December only, if you place a 200PV order you will receive a FREE Frankincense from doTERRA. Frankincense is one of my favorite oils, and I’ll be devoting a post to it soon. Basically, you can use it for anything: immune health, it’s has great anti-aging properties for your skin, it’s wonderful to kill your heartaches and muscle pain, and is packed with components to keep your mind healthy and strong. Also, you can snag another oil AND ornament for free this month. If you place a qualifying Loyalty Rewards order this month, you’ll get some fun stuff! Are you familiar with the benefits of doTERRA’s Loyalty Rewards Program? IF not check out my podcast. 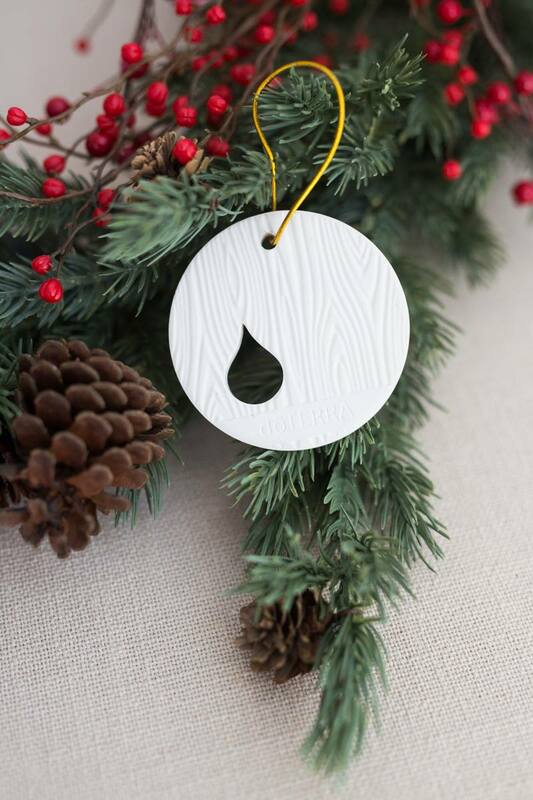 When you place a 125PV order this month, you will receive a FREE Holiday Joy and diffuser ornament for free. This oil is great to diffuse in your home for mood and immune support. 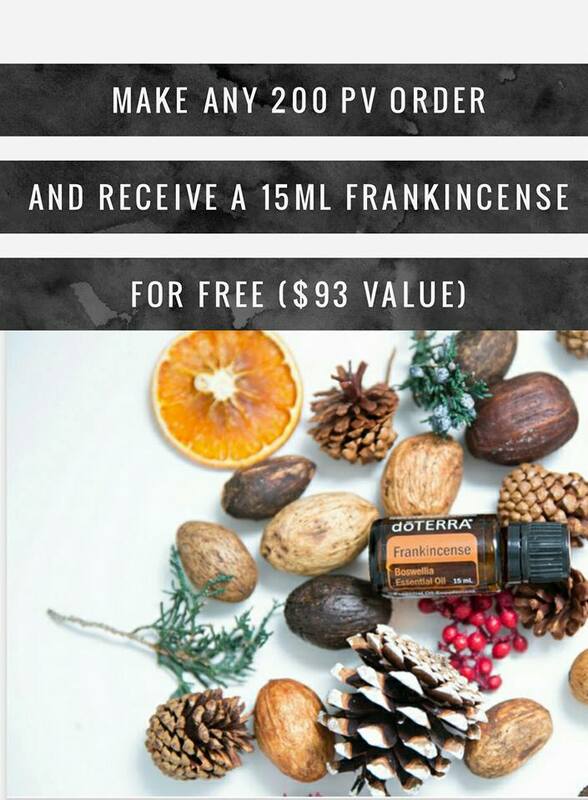 So essentially, you could get TWO free powerhouse essential oils this month, and a free ornament for your Christmas tree. 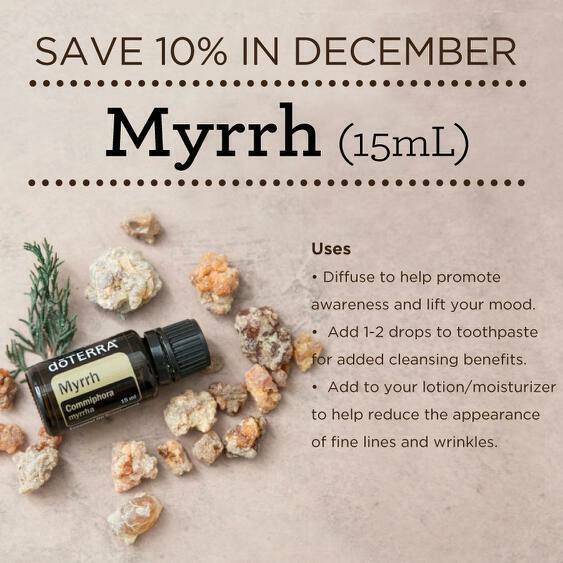 Lastly, I want to mention that Myrrh is 10% off this month. Do you see the theme here with Frankincense and Myrrh. Both were gifts given to baby Jesus (along with gold. Hello?! Does that right there tell you the VALUE in these oils?! ), and both are so important to have in your home. Myrrh is known for its cleansing properties, emotional support, and amazing skin enhancing properties as well. I’m curious, which December promo are YOU most excited to receive in your home? Y’all, I’m just gonna keep it real with this post today. First, here’s a warning to all the men out there: This post is related to women’s issues and hormones. Specifically how doTERRA essential oils can be used to bring relief when you’re on your period. I’m going there today. So hang on tight, you’re in for a fun ride! Many times I can predict when I’m going to start my period because I notice a few signs: I’m emotional, I tend to breakout a few days before starting, I start getting cramps and back ache, and my craving for chocolate goes through the roof. These issues continue while I’m on my period, and then I feel “normal” again when the week passes. Did you know you can make these week (and the days before) much more manageable by incorporating essential oils throughout the week. ClaryCalm (Monthly Blend for Women): Does anyone else experience mood swings before their period? I do! I tend to get weepy and irritable before I start my period. Once that happens, I have 2 oils that I turn to. The first one is ClaryCalm. 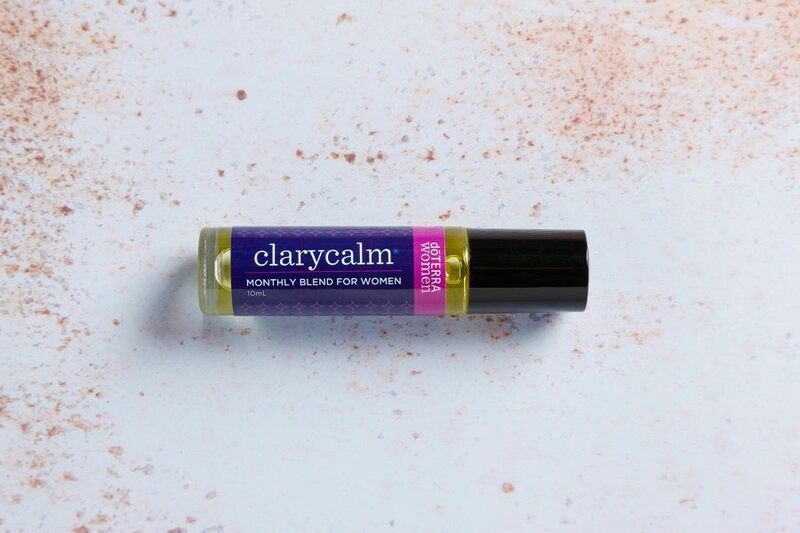 ClaryCalm is a blend of essential oils specifically designed to help women during this time. It consists of Clary Sage, Lavender, Bergamot, Roman Chamomile, Ylang Ylang, Cedarwood, Geranium, Fennel, Carrot Seed, Palmarose, and Vitex essential oils. The aroma has a pleasant sweet and earthy smell to it. You can start applying it pulse points when you’re hormones seem to be all over the place, and you can apply it over your ovaries if you tend to have a heavy menstruation or cramping. I apply this oil topically right where I’m cramping, and then heat up a heating pad and place it on my stomach as well. The combination provides a lot of relief for me. Melaleuca: Commonly known as tea tree oil, Melaleuca is known for its cleansing and purifying properties. Melaleuca can help with those blemishes and breakout that tend to happen during this time. I simply rub some on my hand and apply it right on top of the pimple. I like to combine it with the next essential oil that I’m going to highlight. Frankincense: Frankincense is my favorite essential oil. It is kind of the “all purpose” of the essential oils. During my period, I combine this essential oil with Melaleuca and use for clear my skin because it has great soothing and cleansing effects on your skin. It’s also my second oil of choose to calm my unpredictable emotions. I also like to use it topically for emotional support as well, along with the ClaryCalm. Grapefruit: This may seem like a random essential oil to use right now, but Grapefruit essential oil can help to curb sugar cravings. I like to put a drop of this oil in my glass of water and continuously drink this to curb those cravings. (Reminder: I only recommend taking doTERRA essential oils internally, and encourage everyone to do their research when purchasing essential oils.) 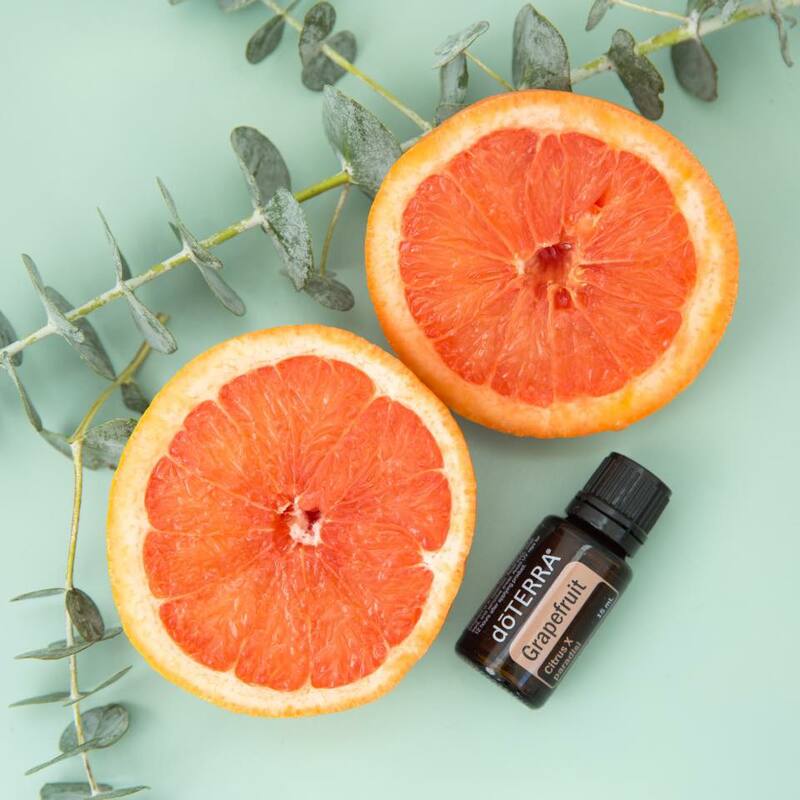 Citrus oils also pair beautifully with frankincense to uplift your mood, and it’s a great diffuser blend. This will help to uplift everyone’s mood during this time! Deep Blue (Soothing Blend): Deep Blue is a blend of essential oils designed to bring relief to occasional sore muscles or joints. It is made of Wintergreen, Camphor, Peppermint, Ylang Ylang, Helichrysum, Blue Tansy, Blue Chamomile, and Osmanthus essential oil. I dilute this essential oil with some doTERRA Fractionated Coconut Oil, and apply it to my aching back. I also will utilize a heating pad, and use a heating pad on my back after applying this essential oil. The combination of the essential oil and heat is amazing! Well folks, I hope you found this post helpful. These are my go to oils when I’m on my period, and I’m so glad I found natural solutions to help with this week that creeps up every month. I’d love to hear from you: Do you have another essential oil that you utilize during your period?